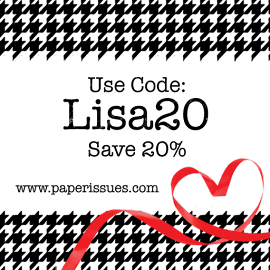 Today I'm sharing a page about my husband. 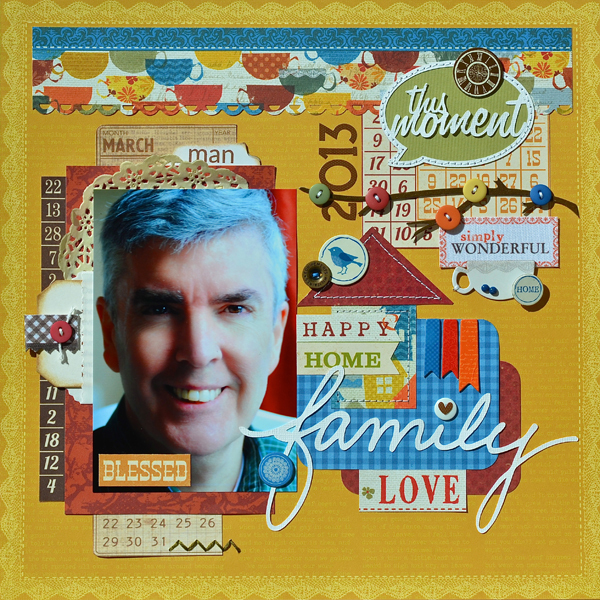 This is the fourth layout I designed with the creative kit from My Creative Scrapbook. The journaling talks about how Tom is a family man (hence the title of the page), how he participates in all of Alexa's events and activities, and how he always puts family first. This guy even sat through an entire weekend at a dance convention! The chipboard tree branch felt a little bare to me so I dressed it up with buttons from my stash. To carry the buttons across the page, I used a white button to dot the "i" in "family" and topped it with a Doodlebug heart sticker. I also added a button to the journaling tag and a metal button to the roof on the house. Speaking of the house, I pieced it together using papers in the kit. The stitching gives it some definition and texture. I hope you've enjoyed seeing my kit layouts this month. Tomorrow I'll have a quick tutorial to share with you. Enjoy your day! This is gorgeous!! I loveeeeeeeeee the colors and loving how you added buttons to the branch!!!!! That's perfect!!! Lovely layout, the buttons were the perfect complement! ooooo love the colors - so fun, great photo and all the adorable dodads are perfectly placed. Lovely layout. I love how you used the buttons - very inspiring!! What an awesome tribute to your hubby! I love how you used the buttons on your branch! What a great layout, Lisa!! Love the bright colors!! Lisa, what a wonderful page featuring your husband. Great colors. Beautifully done Lisa! Love the colors you chose for this man's layout! Great page, and I especially like the detail of the rainbow buttons on the branch. What a sweet layou! We often get to see his handiwork, but not necessarily him! beautifully done Lisa!!! Love all the elements you have added!!! You awe me every time I see one of your layouts. This is fantastic! All the elements and it all works together to create a fun, sweet layout of your husband. Great job!